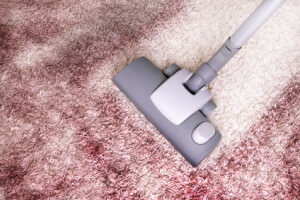 For carpet cleaning equipment rental in Albuquerque, you should consider choosing Xtreme Clean. We understand that some people enjoy doing the cleaning their own carpets, or the job may be too small to consider hiring help, which may prompt you to do it yourself. However, you probably do not have the appropriate equipment to do the job, which means that you may have to rent some equipment. If you are in Albuquerque, Xtreme Clean can help you acquire the equipment you need fast and easily, anytime of the day or night. Xtreme Clean has been around for a long time, and they understand all there is to know about carpet cleaning. We have the most modern and efficient equipment to enable you to carry out the job smoothly. We put the needs of our clients first and ensure that they get top of the line, reliable, and quick services when they need them. All you have to do is call us any time of the day or night and a friendly and experienced member of our team will help you acquire the equipment you need for carpet cleaning. Even when you need advice on the kind of equipment that would be appropriate, we are here to help you choose wisely. We also go ahead and show you how to use the equipment when you are not too sure about it. Although you get to hire top of the line, industry-standard carpet cleaning equipment from us, our rates are quite affordable and very competitive. All our rates are tailor made to suit the individual customer’s needs. When you call us, we come up with a rate that suits your needs and budget. This makes us the preferred choice for carpet cleaning equipment rental in Albuquerque.